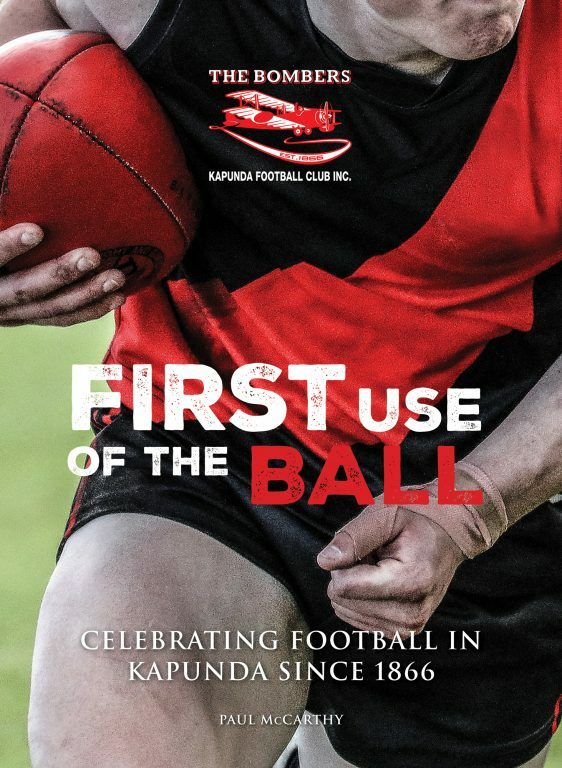 Bernard Whimpress has reviewed the Kapunda FC history. Called First Use of the Ball, it’s written by Paul McCarthy with contributions form a few others. As Bernard asserts, it’s one of the best club histories going around. Supporter A: He kicked seventeen. Supporter B: Not bad. But did he do much around the ground? Thanks Mickey. Paul McCarthy and Danny Menzel also gave a sophisticated presentation to the Adelaide chapter of the Australian Society for Sports History at the Royal Hotel during the week and made sales to part of that wider group.